Since test screenings have become a much-loved tradition in Hollywood, the number of rejected film scores per year has sky-rocketed. More often than not, temp tracks are chosen to accompany the film for the test screenings since the composer is still working on the original score. Temp tracks, meaning “temporary tracks”, is a misleading term in a way. Musical pieces that are being put on a rough cut even during the editing process are “temporary“ in the sense only that they are not supposed to make their way into the final film. However, these “temporary tracks“ don’t represent a “temporary concept” because the concept of the actual film score is very much dictated by the style of the pieces chosen for the rough cut – mostly by the music editor, sometimes by the director, sometimes by the picture editor, sometimes by all three parties depending on the individual film. If the test audience doesn’t appreciate the film, this can lead to a new cut, a new temp score or a new composer, even though his work hadn’t even be heard in the test screening. Furthermore, since composers in the old days were employed by the studio and had their work overseen by the head of the music department, they were comparatively well protected. 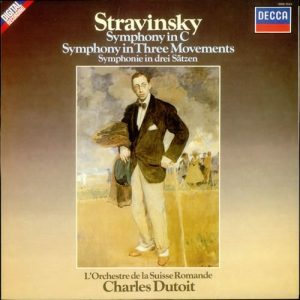 After all, the heads of the music departments were in most cases composers first and business men second, thus defending their composers and ideas if necessary. Nowadays, composers don’t have this security anymore. While film scores which had been written and, in most cases, recorded as well were still at risk of being thrown out of a film before it had its premier, this was less often the case as it is today – and for entirely different reasons. One reason for seeing more and more film score rejections happening is the technological development. With mock-ups composers can present their musical ideas elaborately before recording it. Says Gergely Hubai, author of the book ‚Torn Music‘, “One of the main things that changed is that nowadays the composers are required to deliver detailed sketches and mock-ups that if there’s a problem with the direction, the change occurs much earlier in the production. A lot of score replacements nowadays happen before a final orchestral recording could be done. I’d say about 80 percent of these don’t get to the test screening phase and the change occurs much earlier.” Let’s have a look at why film scores can get rejected in detail. In 1951, Franz Waxman received an Academy Award for “his” score. 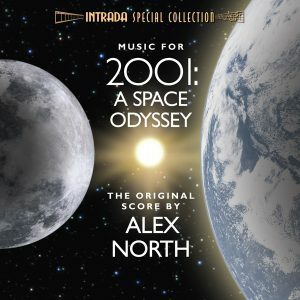 As soon as temp tracks caught on, they proved to be a problem if the director had already made up his mind about them, the most prominent example being 2001 by Stanley Kubrick who advised his composer Alex North to draw inspiration from classical works such as Also sprach Zarathustra. North did, but only found out at the film’s premier that not a single note of his music was used but thrown out in favor of the temp tracks. Similar things happened on Alien and Platoon where pre-existing music was chosen in favor of the original score because the director had fallen in love with the temp. In this way, it happened that the number of rejected film scores increased exponentially and reached its peak when test screenings caught on. The examples are illustrious and colorful: The Queen (2006) was supposed to carry an original score by Nathan Larson but after having been picked up by Miramax (the Weinstein company), it was subjected to a test screening in which “the copy of the film they got was somehow fucked up, and the sound (particularly the music) was muffled and barely audible. This was technical error, and as you’re rushing to finish something this stuff happens. But I do think, as a result, those making the decisions never did hear what I was doing properly,” complained Larson.² You, Me and Dupree (2006) was shown during the test screening with the temp score and received positive feedback. As a result, Rolfe Kent’s score was dropped and Theodore Shapiro was commissioned to write a score which sticks more closely to the temp than Kent’s original concept had done. Transamerica (2005) was being temped with folksy tracks which composer Mason Daring stick to closely. His efforts didn’t please the director and the producers, who admitted that Daring’s efforts didn’t work with the movie because the temp score had given him misleading indications of the film’s needs. Jan A.P. Kaczamarek had written and recorded an orchestral score for Dreamer (2005), much to the approval of the film’s director. However, the producers decided to hold a test screening for recording artists for a song writing contest. After a winner had been chosen and recorded the film’s prominent song, Kaczmarek’s underscore didn’t work anymore conceptually and John Debney was brought on board as a replacement. The list of original scores which suffered from test screenings goes on. Similarly, digital editing proved to be a hurdle for several successful composers for one reason or another. The Mummy: Tomb of the Dragon Emperor underwent several changes in the editing, which included improving the special effects, requiring changes in the music which had already been recorded by Randy Edelman. Edelman was later unavailable for re-scoring and the job went to John Debney. 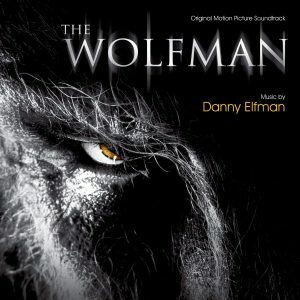 A similar thing happened with The Wolfman (2008) for which Danny Elfman had written an original score. After extensive re-shoots and a new cut, the music needed to be changed. After Elfman proved to be unavailable, Paul Haslinger was hired, whose score was eventually replaced by cues from Elfman’s work and additional music by a whole team of composers. Shade (2003) featured a jazzy score by Christopher Young but the film fared poorly at the test screening, making a new cut necessary. When Young’s score didn’t fit the film anymore, he was replaced by James Johnzen. More often than not, composers have to leave a project not after their work was rejected but simply due to scheduling conflicts, which is hardly surprising considering what a difficult undertaking the shooting of a film is. The impressive list of former attachments from composers to films which were eventually scored by a colleague is even longer: Cops and Robbersons (Bill Conti replaced with William Ross), Baby’s Day Out (Jerry Goldsmith replaced with Bruce Broughton), Jungle Book (Jerry Goldsmith replaced with Basil Poledouris), The Quick and the Dead (Trevor Jones replaced with Alan Silvestri), The Client (Hans Zimmer replaced with Howard Shore), Operation Dumbo Drop (Basil Poledouris replaced with David Newman), Congo (James Newton Howard replaced with Jerry Goldsmith), Dangerous Minds (Mark Isham replaced with Wendy & Lisa), The Run of the Country (Elmer Bernstein replaced with Cynthia Millar), 12 Monkeys (George Fenton replaced with Paul Buckmaster), Copycat (James Newton Howard replaced with Christopher Young), Fair Game (Michael Kamen replaced with Mark Mancina), Portrait of a Lady (Michael Nyman replaced with Wojciech Kilar), Ghost Rider (David Arnold replaced with Christopher Young), Firewall (Alan Silvestri replaced with Alexandre Desplat), Mortal Instruments: City of Bones (Gabriel Yared replaced with Atli Örvarsson), Virgin Territory aka The Decameron (Gabriel Yared replaced with Ilan Eshkeri), Asylum (Craig Armstrong replaced with Mark Mancina), The Da Vinci Code (James Horner replaced with Hans Zimmer), The Pink Panther (David Newman replaced with Christophe Beck), Aeon Flux (Theodore Shapiro replaced with Graeme Revell), The Game of their Lives (Jerry Goldsmith who died before he could work on it, replaced with William Ross), The Passion of Christ (James Horner replaced with John Debney), My Brother’s Keeper (John Ottman replaced with Paul Koffman), Two Brothers (Gabriel Yared replaced with Stephen Warbeck), Femme Fatale (Patrick Doyle replaced with Ryuichi Sakamoto), Logan (Cliff Martinez replaced with Marco Beltrami), Miracles From Heaven (James Horner, who died before he could start working on it, replaced with Guy Farley who was eventually replaced with Carlo Siliotto), Justice League (Tom Holkenborg replaced with Danny Elfman), The Amazing Spider-Man 2 (James Horner replaced with Hans Zimmer) – the list goes on. It can be at least equally frustrating, not only for composers but for everybody involved, to be attached to a film which will never see the light of day, as happened several times over the last 20 years alone with Crusade (to be directed by Paul Verhoeven in the 90s, attached to Jerry Goldsmith), The Thief of Always (to be directed by Robin Budd in the 90s, attached to Jerry Goldsmith), Fat Tuesday (directed by Gil Adler, filmed but never released, attached to Michael Kamen), Toyer (to be directed by Brian de Palma in 2005, attached to Pino Donaggio), Leningrad (to be directed by Sergio Leone shortly before his death. Giuseppe Tornatore took over but never completed the project, attached to Ennio Morricone), Bunyan and Babe (to be directed by Tony Bancroft in 2008, eventually directed by Michael A. Nickles and released in 2017. Attached to Basil Poledouris, eventually scored by his daughter Zoe Poledouris and her husband Angel Roché Jr.), Red Squad (to be directed by John McTiernan, attached to Laurent Eyquem), Hippie Hippie Shake (directed by Beeban Kidron, never released, attached to Dario Marianelli), To the White Sea (to be directed by Joel and Ethan Coen, attached to Carter Burwell), Robocalypse (to be directed by Steven Spielberg and starring Anne Hathaway, attached to John Williams), The Canterville Ghost (to be scored by Ennio Morricone in 2012 before the film was shelved) and World War Z 2 (to be directed by J.A. Bayona, attached to Fernando Velazquez). Possible rejections due to test screenings with temp tracks is not the only problem for composers. If handled without great care by the music editor, the film editor, and/or the director, they can present a whole variety of problems for the composer who then faces completely different dilemmas other than being rejected. But more on that later.